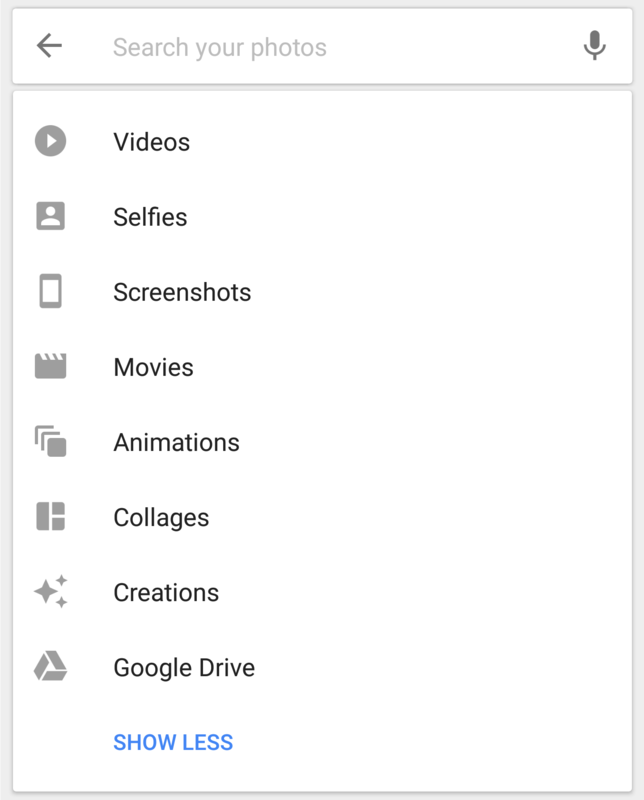 The Google Photos app is a great tool for backing up and searching pictures. It's even great as a gallery app for quickly flipping through shots. However, there's something to be said about committing your pictures to photo albums the way we used to. Flipping through pages of baby pictures and laughing about old hair styles is a time-honored tradition – or at least that's what movies tell us. 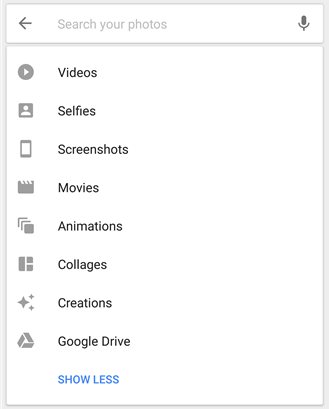 If you like the prospect of taking your images to the real world, the Google Photos app will soon be able to help out with that. There's a new feature called Photo Book in the works that will simplify the process of printing out your shots. The evidence is still a bit too sparse to make many predictions, but it's easy to pick out the key words for this story: print, photo, and book. The one thing that is specific right now is that albums in the app will have an item in the overflow menu titled "Photo book" that opens up a separate interface to get things going. What isn't clear is whether or not this is going to simply send images to a local printer as if you were printing out a letter from Google Docs, or if it will initiate an order with a professional printing operation like those previously offered by Apple, HTC, and others. There's also nothing to suggest how the output will look; it could be as simple as printing individual photos, or it may get into complicated pre-designed layouts. Whatever the case may be, the interface for something like this is generally full of icons and text, and may get fairly elaborate. Essentially none of that exists, so it's reasonably likely we won't see this ready to go at least until the next update, and possibly well beyond. Google launched Photo Spheres alongside the Nexus 4 back in 2012, quietly renaming them to "360 photos" sometime last year. These special-purpose images have always felt like an afterthought since many of Google's various projects either never supported them or didn't add support until long after almost everything else was taken care of. The Photos app has been able to open and view 360 photos for a long time, and technically it can also get a list by using the term "photosphere" in the search box. Unfortunately, most people wouldn't know that term, or even necessarily that they can search for them at all. That won't be a problem anymore because 360 photos will be joining the list of suggested search types. It's certainly not critical that 360 photos were overlooked as a search suggestion, but it will be helpful to point it out as an option for users. In fact, merely seeing it listed as a possible search type might encourage more people to learn what they are and how to take them. A Photos teardown from a couple of weeks ago revealed a curious promo teaser promising a faster way to share photos with friends. While the method of transmission was vague, the recipients would at least be chosen using either phone numbers or email addresses. The only absolutely clear detail was that the entire act of sharing would occur within the Photos app, rather than handing off to another app. With the v1.27 update, there's a bit of new information and basically all of the pieces for an interface. The project behind this feature is internally called SendKit, a name that inescapably draws to mind many of Apple's names for APIs (e.g. HealthKit, EventKit, WatchKit, etc). Considering this is a very utilitarian name with a fairly flexible purpose, it wouldn't be surprising if this library eventually becomes common throughout Google's other apps. Also, the full namespace has nothing to do with Photos and there's a new string for an app name, reinforcing the likelihood that the project is not just a creation for the team's internal use. There are references to collaboration in some of the text, which means this is still using the shared album capabilities of Photos. That's a pretty strong indicator that the only thing sent out to recipients is a URL, just like sharing an album today. From here, there are plenty of other strings and a lot of layouts for the interface, but most of them don't really give any meaningful information for making guesses. There is an exception: a single string named sendkit_ui_send_via_app. This basically proves that it's possible for another app to take responsibility for sending the invite to an album, which again infers that all that is sent is text. It is worth mentioning that the sender is also allowed to include a custom message, so the invite isn't just a url. Finally, as if it weren't fairly predictable, the selection of recipients can be chosen from a list of contacts already stored on a user's phone. There's also an autocomplete function that helps the sender choose people by typing a name, phone number, or email address. That basically wraps up the new sharing mechanism. There's nothing to suggest it's actually "faster" than sharing an album link through another app, but it does eliminate the need for a context switch to another app. At the very least, that's probably a friendlier experience and may be a little less confusing to some users. And it's clearly possible to continue sharing links through different apps, so it won't stand in the way of continuing to invite collaborators.